Top Ten ‘Wholesale Tips’. In Video Tip 9, you’ll learn what you should do if your wholesale suppliers also sell their products on their own retail websites. Many ecommerce entrepreneurs, who are looking for products to sell online, view wholesalers with retail sites as a competitive threat and think that the wholesalers will be able to undercut all their prices. But ‘real’ wholesalers do not want to compete with their retailers, and you’ll see why. 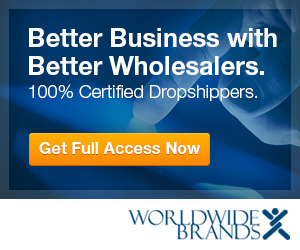 You’ll find out what you should expect from wholesale suppliers who retail their products, and how you can easily compete with them. You’ll also learn to identify ‘fake’ wholesale suppliers who WILL undercut your retail prices, so you can avoid them.